COLUMBIA, S.C. (AP) — The chief prosecutor for South Carolina’s capital city was indicted Tuesday on more than two dozen charges related to the misspending of public funds on trips to foreign countries including the Netherlands and the Galapagos Islands. 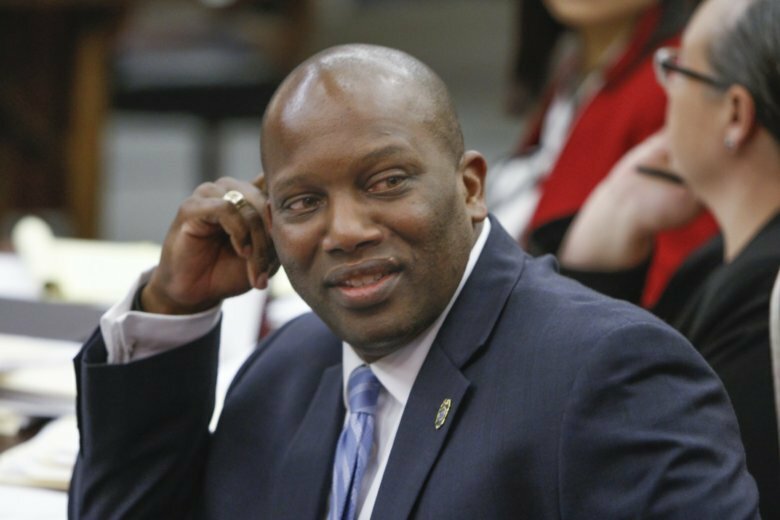 In documents released to news reporters, federal prosecutors outlined 26 charges against Solicitor Dan Johnson, including wire fraud, mail fraud and theft of government funds. Gov. Henry McMaster’s spokesman confirmed Tuesday the governor would move to suspend Johnson from office. State and federal authorities have been investigating the travel and spending habits of Johnson, who logged more than 70 days of travel over a period of less than two years. The trips to locations including Amsterdam, Colombia, the Galapagos Islands and Las Vegas were reflected in credit card bills and receipts released by a nonprofit that obtained them through open-records laws. State Attorney General Alan Wilson has said some of the charges merited inspection, including a trip during which Johnson’s office credit card was billed $798 for a three-night stay at Homewood Suites, a hotel in College Station, Texas, just a mile from Texas A&M. The University of South Carolina football team played Texas A&M on Sept. 30. Johnson left the hotel on Oct. 2. Some records reviewed by local news outlets indicate that, on the same day that Johnson was traveling out of the country, someone else was using the same prosecutor’s office credit card to travel in the United States. For example, Johnson was in Colombia, Ecuador, and the Galapagos Islands from Feb. 17-26, 2017. His stay in the Galapagos at the Golden Bay Ventas luxury hotel cost $912. From Feb. 16-20, 2017, the same credit card was used to pay for a stay at the Hampton Inn in Mountain View, California, according to a credit card statement. Johnson is chief prosecutor for the 5th Circuit, which includes Richland and Kershaw counties. Columbia, the state’s capital city, is in Richland County. Earlier this year, Johnson lost a primary bid for his third four-year term in office. The Democrat first elected in 2010 has declined to answer specific questions about his travels but has said he didn’t intend for public money to be used for personal expenses. Nicole Holland, Johnson’s communications director, was also charged with the same 26 charges as Johnson.